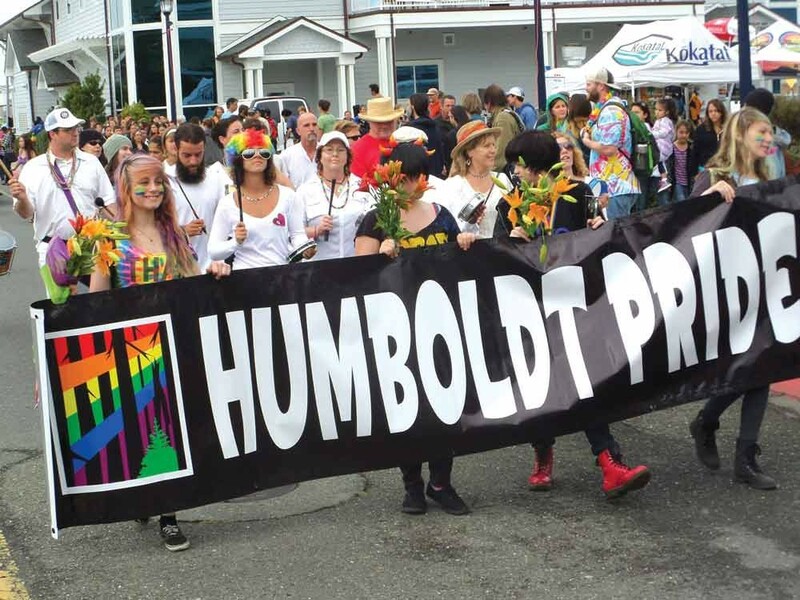 Listen, celebrating Humboldt's LGBT community and all its supporters is a marathon, people, not a sprint. The rainbow-streaked party that is Pride weekend starts with Abruzzi's Fabulous Friday with DJs Pressure Anya and Joe-E at 9 p.m. ($5) A rhinestone's throw away is Where's Queer Bill's Rainbow Weekend Kick-off Party at 9:30 p.m. on Friday, Sept. 12, at Humboldt Brews ($5). Hosted by fan-spinning phenom Nova Six, the evening promises dancing, comedy and dragliciousness from DJ Razorburns, Maniac, Fuscia Rae and In Love with You. The Humboldt Pride Parade, led by Grand Marshall Todd Larsen on Saturday, Sept. 13, doesn't take off from the Eagle House in Old Town until 11:45 a.m., so you can sleep in and recover (free). The Marching Lumberjacks and Samba da Alegria will be beating their drums, however, so fair warning. The bright-eyed and bushy-tailed, however, can samba with them down to Halvorsen Park, where the family-friendly festival starts at noon (free). The kiddies can jump into the bouncy house and get their faces painted, and there will be plenty of food trucks, vendors and info booths on hand. Over on the main stage, Emcee Sherae O'Shaughnessy will get the all-day party started. Then it's faux fur, feathers and feats of fabulousness from Portland's Caravan of Glam. Tribal Oasis keeps things shaking with bellydancing, and Pressure Anya will be spinning all day long for your dancing pleasure. If that leaves you parched, fear not: Helpful bartenders will be slinging beer, wine and Pride cocktails. Are you tired? Believe in yourself. If you're over 21, you can hit the Glamorous Pride After Party with those Caravan of Glam queens at the Palm Lounge at 9 p.m. (free). Or light it up at the all ages Rainbow Glow drag and dance night with the Red Carpet Girls at Siren's Song Tavern at 10 p.m. ($5). On your mark, get set, party!